By using this Web site you assume all responsibility and risk for the use of this Web Site. The information provided is “as is”, without any express or implied warranty of any kind. In no event shall TheTruthAboutMortgage.com or its affiliates be liable for any damages whatsoever (including without limitation any special, indirect, or consequential damages, and damages resulting from loss of use, data, profits) arising out of the use of or the inability to use the materials provided, even if TheTruthAboutMortgage.com or its affiliates have been advised of the possibility of such damages. This Web site is intended to assist readers by providing financial data, resources, opinion, advice and editorial information on financial products, companies, and programs. TheTruthAboutMortgage.com will not be responsible for any errors or omissions on the Web Site or information provided on this Web site, any articles or postings, or for hyperlinks embedded in messages, nor for any loss or damage caused by your reliance on information obtained on this Web site or in a hyperlinked site. While TheTruthAboutMortgage.com believes such information and advice to be reliable, we make no claims or representations about the accuracy, reliability, timeliness, usefulness or completeness of such information or advice. All information and advice given on this Web site is intended only to assist you with financial decisions. Your financial situation is unique and our information and advice may not be appropriate for your situation. You should not rely on any information or advice you obtain on this Web site. Any reliance by you on any information or advice will be at your own risk. There may be links to websites belonging to advertisers, business partners, affiliates and other third parties on the TheTruthAboutMortgage.com. Such links do not constitute an endorsement by TheTruthAboutMortgage.com of those websites, nor the products or services listed on those websites. TheTruthAboutMortgage.com is not responsible for the activities or policies of those websites. TheTruthAboutMortgage.com does not endorse or recommend the products of any particular advertiser, business partner, affiliate or other third party. You shall defend, indemnify and hold harmless TheTruthAboutMortgage.com and its employees, independent contractors, agents, representatives and affiliates from and against all claims and expenses, including, but not limited to, attorneys’ fees, arising out of, or attributable to any breach or violation of this Agreement by you. 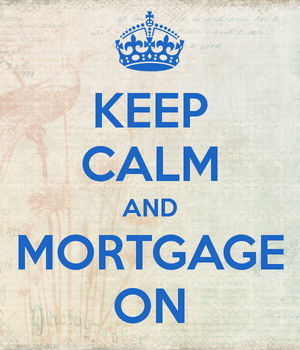 All content is the sole property of TheTruthAboutMortgage.com and may not be reworked, republished or redistributed without the expressed written permission of the site owner. Images on this website have been taken by the site owner and are “all rights reserved” unless otherwise noted. All company trademarks and logos depicted on this site are trademarks or registered trademarks of their respective companies and have no affiliation with TheTruthAboutMortgage.com.